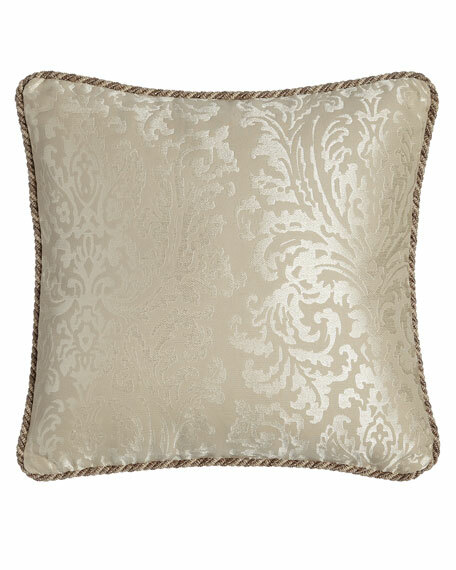 Isabella Collection by Kathy Fielder Ranier Pillow, 20"Sq. Isabella Collection by Kathy FielderRanier Pillow, 20"Sq. Square damask pillow is made of cotton/viscose and polyester. Cotton insert has feather/down fill.